If you like Scrabble, Boggle or any other similar entertainment, this unique & friendly looking game is a must have. In Clever Words© as soon as you find and select a word, it disappears from the board like Tetris blocks, making room for new letters. In this way your board dynamically changes, keeping you away from boredom! 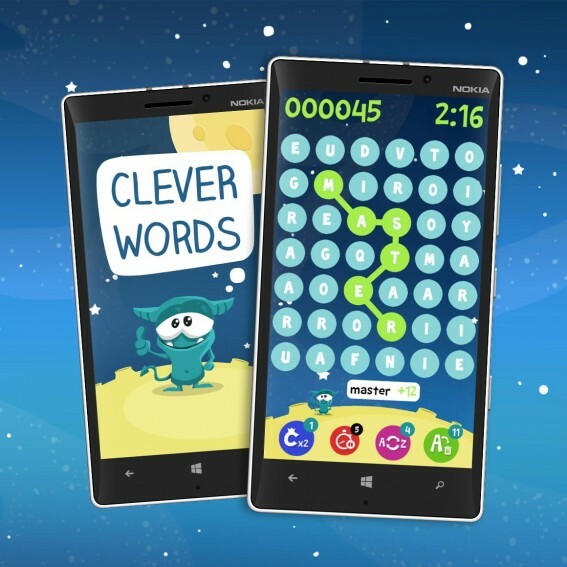 Use special Power-ups to double your points for words, stop time or swap any letter for another one. Face series of mysterious challenges, compete with other players from all over the world, beat your own records and have a lot of fun playing with words!